Is Drinking Tea With Meals Bad For You? - Here Is Your Answer. Is Drinking Tea With Meals Bad For You? No, drinking tea with a meal is not bad for you. There are some minor risks to consider for individuals with pre-existing conditions. However, tea has many great qualities that apply to the majority of people. Drinking tea with meals is a common practice in a multitude of cultures. 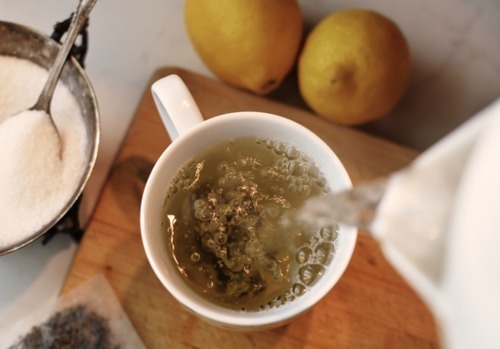 Though most Americans have grown up on black tea, the recent decade has led to a large push towards green tea, as a replacement. Ironically, both black and green teas are created from leaves of the same plant, Camellia Sinensis. The main difference between the two teas is the high level of oxidation black tea gains during processing. Green tea typically remains unoxidized. Black tea still maintains many of the same beneficial effects as green tea, though in lower amounts. Both types of tea can be brewed with or without caffeine. 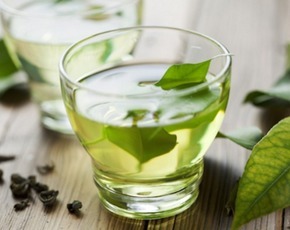 Thus, between the two, green tea is the more natural and advantageous choice. Both green tea and black tea contain a rich antioxidant called Epigallocatechin gallate (EGCG). This antioxidant is associated with anti-inflammatory and antibacterial properties, as well as, removing toxins and free radicals. Green tea and black tea are known to boost immunity and lower risks for some cardio-vascular diseases. The teas are also often used in weight loss regiments, due to the way they increase metabolism and aid in digestion. Many researchers have found caffeine to be without consequence, in those who do not have heart disease, anxiety, or other specific diseases, when consumed in small amounts. There is no question that the tea provides qualitative benefits for the human body, but timing plays a large role in the effects that tea has on the body. The best time to consume tea is between meals or one to two hours prior to a meal. Tea contains vegetable tannins, a naturally occurring polyphenol found in vegetation. 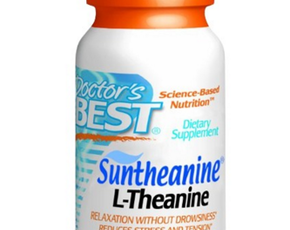 These tannins bind to iron found in foods and inhibits the absorption of iron into the body. For most people, this is not a large problem. However, in anemic individuals, it can be a serious concern. There is additional controversy surrounding the consumption of any liquid while eating, in general. Some researchers have found that liquids greatly interfere with the digestion process. Liquids are found to dilute essential components of digestion, such as digestive enzymes and stomach acid. Cold beverages further interfere with digestion by “stealing energy” intended for the digestion of food, in order to warm the beverage. If you choose to drink a beverage with a meal, researchers suggest that you opt for a lukewarm or hot beverage. Though some adverse effects exist with drinking tea with a meal, the consequences are minimal and should be considered in combination with your personal health needs. If you struggle with iron deficiencies or have had difficulties with digestion, it would be bests to avoid drinking tea with your meals altogether. However, if you do not suffer from these ailments, tea is unlikely to be problematic. 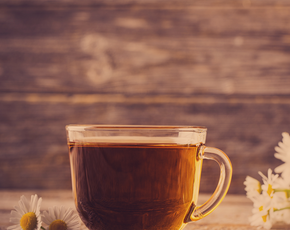 It is also important to consider the additives that will go into your tea, such as sugar, milk, and artificial sweeteners, as they could present serious dangers. The scope of this topic addresses plain black or green tea.